If you have received a damaged or defective item, please contact us by email within 7 days upon delivery of the parcel. Please provide us with your order number and item name / model as shown on the Packing Slip. Please email us a few pictures of the damaged item, put the damaged item back in its original packaging. We will notify you if we require you to take the damaged item to your local post office for inspection and for obtaining a damage report. MY Badminton Store will make every reasonable effort to replace the item in a timely manner. MyBadmintonStore.com (MBS), Shop M21, Mezzanine Floor, Wayson Commercial Building, 28 Connaught Road West, Sheung Wan, Hong Kong. Keep the Return Tracking Number for the package you are returning until you have been notified that the package has arrived our warehouse. Our Standard Return Policies do not apply to all items. For a list of exceptions to our Standard Return policies and instructions on how to return these particular items please read our Return Exceptions policy. All sales are final for customized and personalized products, such as apparels with printed names and strung rackets. These items cannot be returned and order cannot be cancelled after work has been done. If an error occurred in your order process or packaging, please contact us immediately by email. Occasionally, MY-Store Limited and MY Badminton Store may make some of its products available for auction on a website other than our own. All auction sales are final. 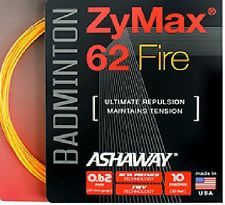 MyBadmintonStore.com will only accept returns of defective or damaged products and products shipped in error within 7 days of your receipt of the auction item. Please contact us via email for complete instructions about returning an auction item. Any auction item returned to our warehouse without first contacting a Customer Service staff will not be processed and may be immediately returned to the sender. If an order is returned to us for unsuccessful delivery due to incorrect / insufficient address, incorrect receipient's name, or an error not caused by our side, the customer may be required to pay for the postages of the returned journey as well as the forwarding journey to the correct address. If the order is returned to us for unsuccessful delivery due to insufficient postage, inadequate documentation, or an error caused by our side, we will re-post the order to the customer free of charge. All rackets purchased from MyBadmintonStore.com carry a 3-month's manufacturer's warranty, issued from the date of purchase shown on the MBS Invoice and Packing Slip. Manufacturer's warranty covers defects and damages due to proven result of bad or faulty craftmanship, or damaged-on-arrival due to mishandling during postal transit. Manufacturer's warranty does not cover damage and breakage arising from improper use, collision during play, or the racket subsequently being strung to a tension exceeding that of the manufacturer's recommended one. Manufacturer's warranty does not cover racket models that are already discontinued by the manufacturer. The respective manufacturer reserves the final rights to decide whether or not the warranty will be granted. PLEASE DO NOT CUT THE STRING FROM THE DAMAGED FRAME. String cut and removed from the damaged frame will not be processed. We record the serial numbers of all rackets sold (if applicable). Please email us the serial numbers of the damaged racket, alongside at least 3 pictures showing clearly the damaged area, and a brief statement on how the racket was broken. The pictures will be forwarded to the manufacturer or authorized dealer of the respective brand. The manufacturer or dealer may require you to return the damaged item for closer inspection before granting any warranty. If you decide to return the damaged racket for closer inspection, please return it to the MBS shop address shown above. POSTAGES - The postage for returning the damaged racket will be paid by the customer. Returning the damaged racket DOES NOT guarantee a successful granting of warranty. In the case of Yonex JP rackets, MBS will bear the postage of forwarding the damaged racket to Yonex Japan for inspection. If a warranty is granted, the customer would have to bear the postage of forwarding the replacement racket to his/her address. 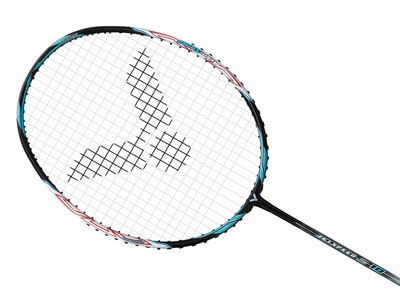 The customer may request the replacement racket to be sent by EMS Courier Parcel upon the payment of additional EMS postage. For additional information on manufacturer's warranty for a specific product or model, please contact us by email.